You need to be able to ignore the negative and find solutions. You need to be able to let go of people who are toxic. You need to be able to pass up opportunities to focus on yours. You need to be coachable; as this industry evolves so should you. You need to be indifferent when people quit. You need to be able to take a NO. You need to be able to take criticism from people who don't get it. You need to be able to be blamed at times even though it is not you. You need to be able to learn from experience. You probably already have an Instagram account for personal use. Maybe you even have one for business. Are you only seeing 5-10 likes on each picture? Are you rarely seeing people comment? You probably just don't know the correct way to post! Instagram has algorithms just like Facebook. So to get your posts seen, liked and commented on, you have to know the tricks! 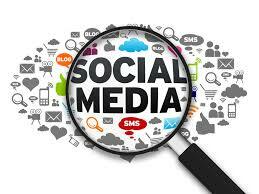 If you don’t have a social media strategy for your business then you are just flying by the seat of your pants. Are you sitting around and wondering why you don’t have any followers? No people interacting on your stuff. If you lack a social media strategy, then you are probably struggling with these things.